Hello and welcome to the website of Radio Amateur G0MGM. I have been QRT since 1994 and re-discovered this wonderful hobby in 2011. I mainly operate remotely when I find the time using TeamViewer and my SDR. For this reason I operate mainly on digital modes and some SSB. The above picture is a view of my rebuilt shack. 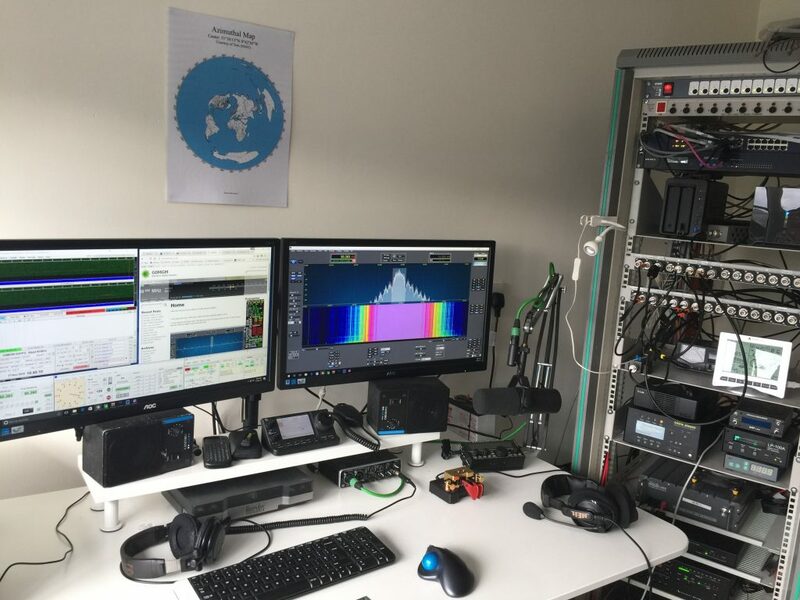 You will normally find me operating on Olivia 32/1000, RTTY, JT65, JT9, ROS 32/1000, CW and WSPR modes and sometimes a bit of SSB. I discovered wonderful mode Olivia a couple of years ago and have made some friends on there. It is a great mode for rag chewing with near 100% copy. If the station is not doing WSPR I will normally leave it monitoring 14.106 for any Olivia 32/1000 traffic. I have completed my second mixed DXCC as I completed my first one back in 1994. I have recently completed my three DXCC, Phone, Digital and CW. 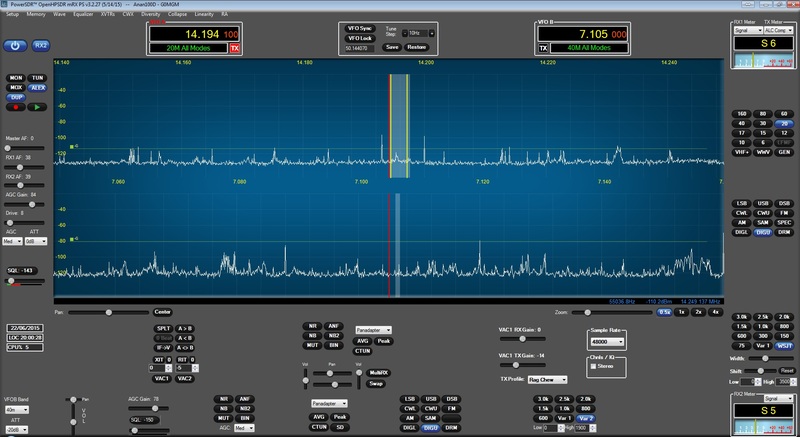 I have recently set up N1MM contest software and really getting into contesting with my modest little station, I am particularly interested in RTTY contests and will be starting to do a few CW contesting the hope of improving my CW skills. You can find the current weather conditions through my weather page and what I have been to recently on APRS.fi node. Just came across your APRS station on APRS.FI. when I updated it. I don’t operate a lot. But I’m getting more into HF. I’m down in the RF hole of Cookham. Nice to meet you. I recently put the APRS i-gate up on my RPI as I saw this part as having a lack of APRS reporters, Im lucky to be on the side of a hill so I have good take off and coverage to the south. I think there is a another HAM in Cookham, a G3 that I have once worked on 160m CW but cant remember his call. If you are ever on in the mornings there are a group of us who are on GB3AL (2m) or GB3AU (70cm) during our morning commutes so if you get a change we are on between 0730 and 0815 or so. Hope to catch you on the air soon.